We are looking for a partner family! Good news from Family Selection! We are starting the search for our fifth family! 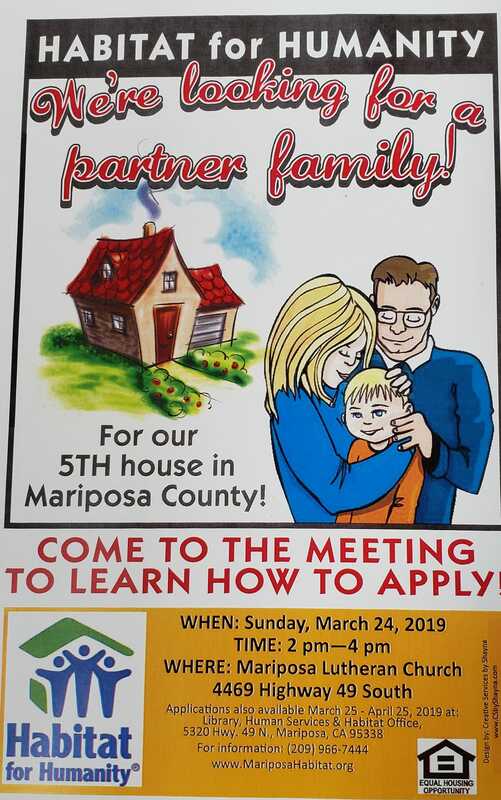 The meeting to receive applications will be held at Mariposa Lutheran Church at 2pm on Sunday, March 24. The address is 4469 Highway 49 South. Do come if you are interested in homeownership. 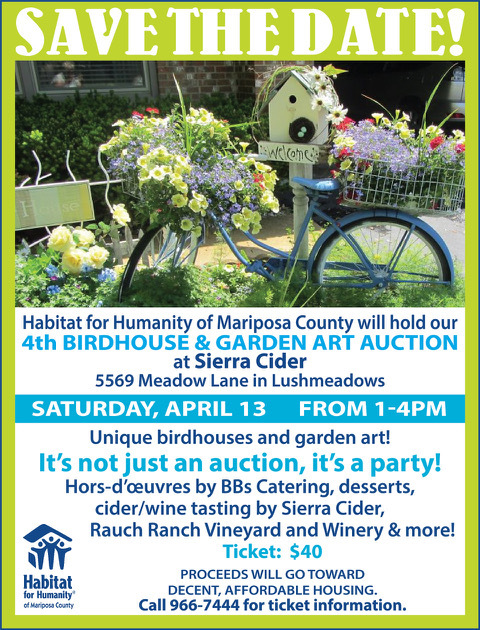 Applications will be available at the Habitat office at 5320 Highway 49 North, Mariposa, after March 24! And also at Human Services!